Is it important for children to have fathers? Are fathers necessary to the development of their children? 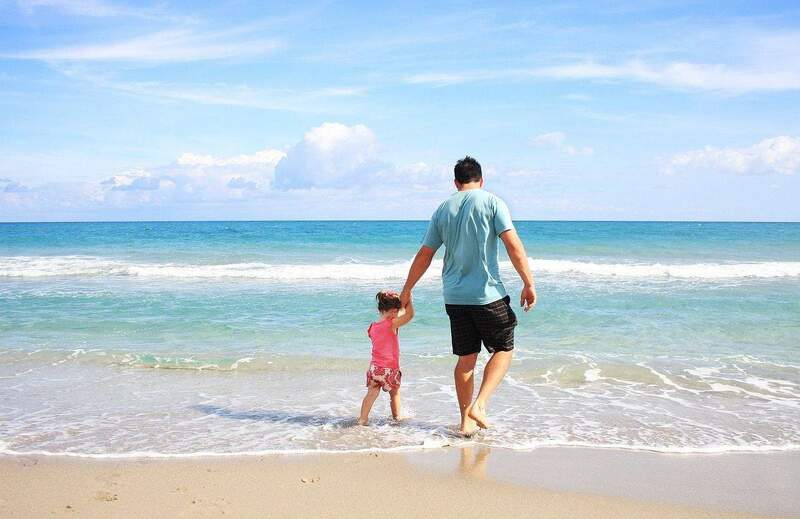 Our culture tends to think of dads as bumbling albatrosses. Most of the time they are viewed as stupid and uninterested in children’s lives. With the rise of feminism also came the viewpoint that we don’t need dads. Maybe, dads are just there to help with conception and that a mother is all that a child needs. Why not have 2 mommies says culture? Is it necessary to for children to have a father in their life? Are fathers needed? The resounding answer is YES!!!!!! – Of all single-parent families in the U.S., single mothers make up the majority. – According to U.S. Census Bureau, 3 out of about 12 million single parent families in 2014, more than 80% were headed by single mothers. These rates are super high! More and more children are being born every year without a father. There are obviously many reasons people are single parents but this is still an alarming rate and one that we all must come to understand. Going back to fathers. Are they needed? 1. Fathers and infants can be equally as attached as mothers and infants. When both parents are involved with the child, infants are attached to both parents from the beginning of life. 2. Father involvement is related to positive child health outcomes in infants, such as improved weight gain in preterm infants and improved breastfeeding rates. 3. Father involvement using authoritative parenting (loving and with clear boundaries and expectations) leads to better emotional, academic, social, and behavioral outcomes for children. 4. Children who feel a closeness to their father are: twice as likely as those who do not to enter college or find stable employment after high school, 75% less likely to have a teen birth, 80% less likely to spend time in jail, and half as likely to experience multiple depression symptoms. 5. Fathers occupy a critical role in child development. Father absence hinders development from early infancy throughout childhood and into adulthood. The psychological harm of father absence experienced during childhood persists throughout the life course. 6. The quality of the father-child relationship matters more than the specific amount of hours spent together. Non-resident fathers can have positive effects on children’s social and emotional well-being, as well as academic achievement and behavioral adjustment. 7. High levels of father involvement are correlated with higher levels of sociability, confidence, and self-control in children. Children with involved fathers are less likely to act out in school or engage in risky behaviors in adolescence. 8. Children with actively involved fathers are: 43% more likely to earn A’s in school and 33% less likely to repeat a grade than those without engaged dads. 9. Father engagement reduces the frequency of behavioral problems in boys while also decreasing delinquency and economic disadvantage in low-income families. [spacer height=”10px”] Follow the link for information to their research. 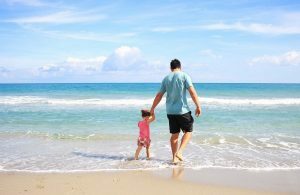 In David Wolfe’s article he shares 8 reasons that you would never think of on how a father’s role directly impacts a child for the rest of their life. Here is another article with 15 reasons for dad. It is amazing that a father would have that much impact on their children’s lives. [spacer height=”5px”] I would love to know what the spiritual statistics would be. [spacer height=”5px”] The father was intended in scripture to be an integral part to every child growing up. Now there are many single mothers out there who are not able to remarry, or other life circumstances have come that took your husband away. My sister is currently going through this. So if that is you? I would love to here your thoughts on this subject and to also encourage you at a later time. I am so grateful for the profound affect that my father has had on me. Most people are not fortunate to have a dad like my father, who loves the Lord, and loves his family as much as he does. Not a day goes by that I am not applying to my journey as a parent, lessons that I learned from him. – A GREAT work ethic – I have a LOT to go to reach his status- he is my hero! I could go on but I think you have the picture. My father is irreplaceable to me and to my development as an adult with children. As you can see fathers are necessary for culture and family to survive. I am so grateful for my father everyday for instilling some of these traits and more in me. Thank you Howard for being such a major influence in my life! I have been working on an e-course for parents, and so much of what I am writing and putting down comes from how my father raised my siblings and I. Take time to that your father this week for their impact on your life. What are some of the things that your father taught you? If you would like more information and discounts on the upcoming course, Conversations that Matter, subscribe to this list. Subscribe to this list to get all updates and discounts. Link to a LOT of research on this topic.